Experience this beer fest just once, and you’ll become a regular. 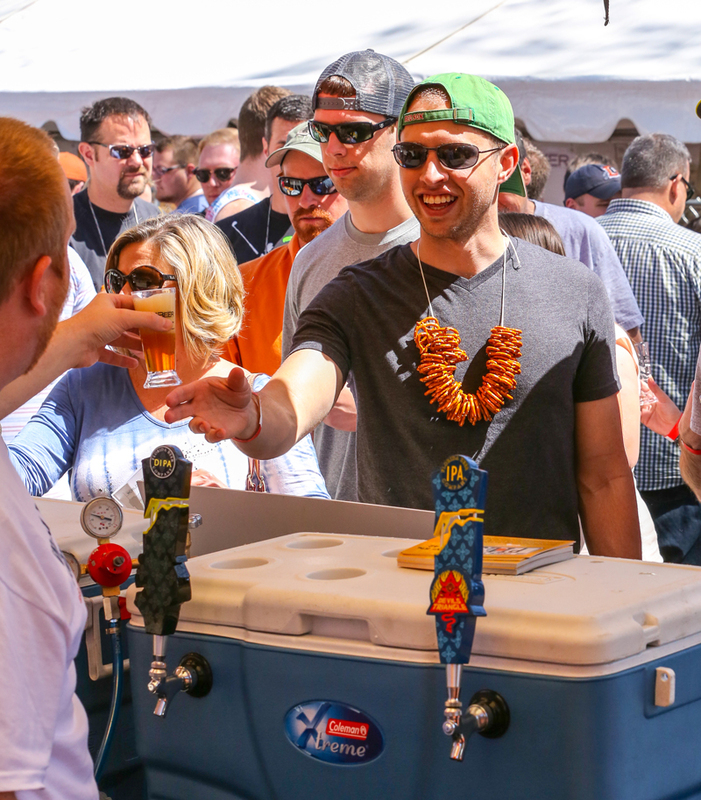 With a mix of local, national, and international breweries, combined with educational seminars, and hearty local fare, All About Beer Magazine’s World Beer Festivals are among the country’s premiere beer events. Currently held in four cities—Cleveland, OH, Columbia, SC, Durham, NC, and Raleigh, NC—the World Beer Festivals are a celebration of beer and a chance for consumers to interact with brewers, try rare offerings, and expand their beer education. In 2014, each of the four World Beer Festivals teamed up with a local brewery to brew a Beer Fest Beer, a collaboration beer unique to each festival and available only to attendees. Held in scenic, historic, and centrally located spots, the World Beer Festivals are worth a spot on every beer lover’s festival bucket list. Returning for its 19th straight year, the World Beer Festival—Durham was held at the newly renovated Durham Bulls Athletic Park, in the heart of the American Tobacco Campus. The longest standing festival, Durham “Beer Fest,” as coined by festival attendees, has truly helped shape the vibrant Durham beer scene to what it is today. The festival has grown significantly over the years, and has become a Durham treasure and source of pride for the city. A portion of proceeds from the festival benefited The Food Bank of Central & Eastern North Carolina, who provided a record 300 volunteers to pour beer alongside the breweries. The event featured a food truck rodeo, live music from local bands and beer and pork pairings, where local restaurants prepared a pork dish with a complementary beer. In addition, as part of a new educational experience, expert cheese mongers from Whole Foods Durham teamed up with Daniel Bradford, beer expert and associate publisher at All About Beer Magazine, to present six gourmet cheeses, each paired with the perfect beer. Be sure to save the date and come celebrate the 20th anniversary, Saturday, Oct. 10, 2015. 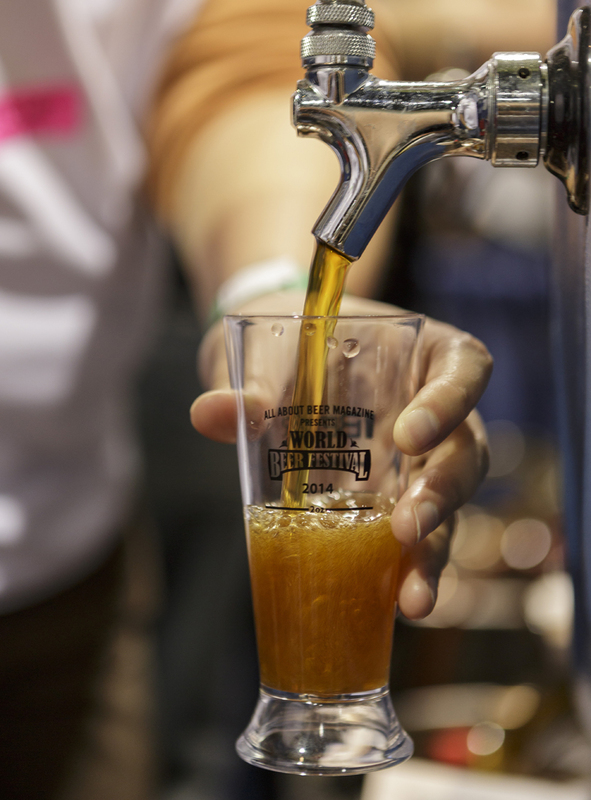 The World Beer Festival—Columbia returned for the sixth time in January. Held at the Columbia Convention Center, this festival is the largest of its kind in the area, and 2014 saw a great turnout of beer enthusiasts. The festival has grown throughout the years, along with the Columbia beer scene. The newly added South Carolina Beer Garden offered a large collection of local brewers, pouring exclusive beers. With a thriving beer culture, new breweries will add a new dimension to the 7th annual World Beer Festival—Columbia on Saturday, Jan. 17, 2015. Held in beautiful Moore Square Park in the heart of downtown, the 9th annual World Beer Festival—Raleigh featured a Science of Beer Garden, an area dedicated to showcasing the science behind the beer in your glass. Local brewery Gizmo Brew Works brought its plasma laser, and etched nuclear custom designs into attendees’ beer glasses. The NC State Food Science Department, working with a student at Tuft’s University, brewed three special beers brewed with yeast discovered during the students’ research into wasps. 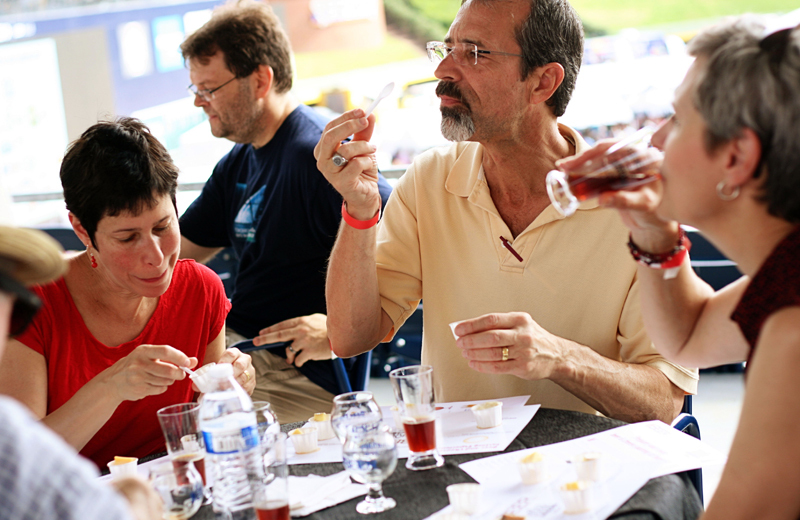 Harvested from the insect’s stomach, the yeast was used to brew and attendees had the opportunity to sample each beer, and discuss the comparisons and differences between them. Thanks to support from the local community, All About Beer Magazine collected 30,000 diapers from attendees to donate to the Diaper Train at Saint Saviour’s Center, who donated diapers to needy families throughout Wake County. 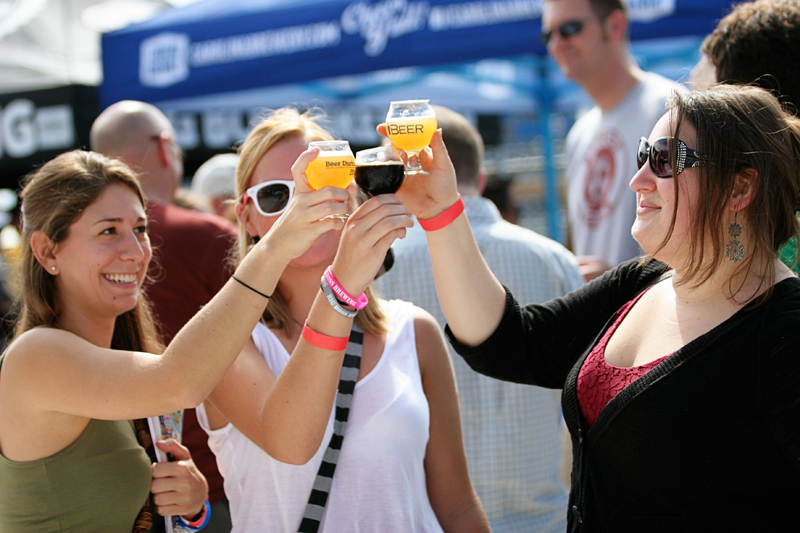 The 10th annual World Beer Festival—Raleigh returns Saturday, April 11, 2015. 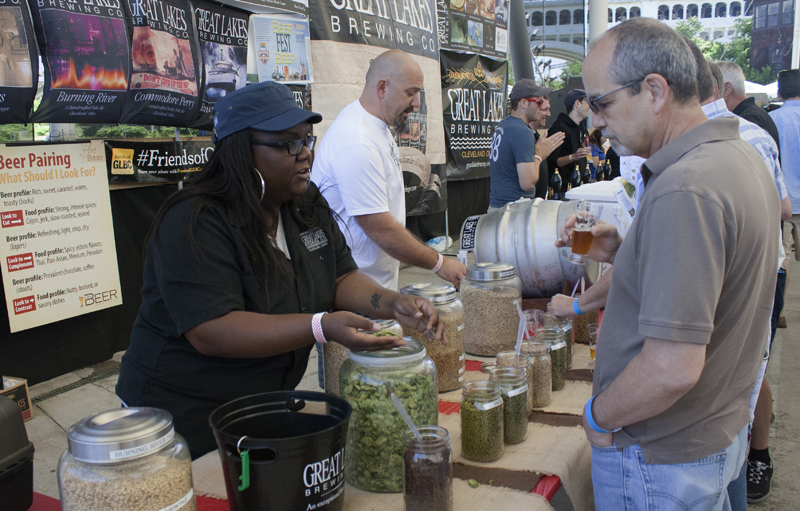 The World Beer Festival—Cleveland returned for its second year, after a very successful inaugural event in 2013. 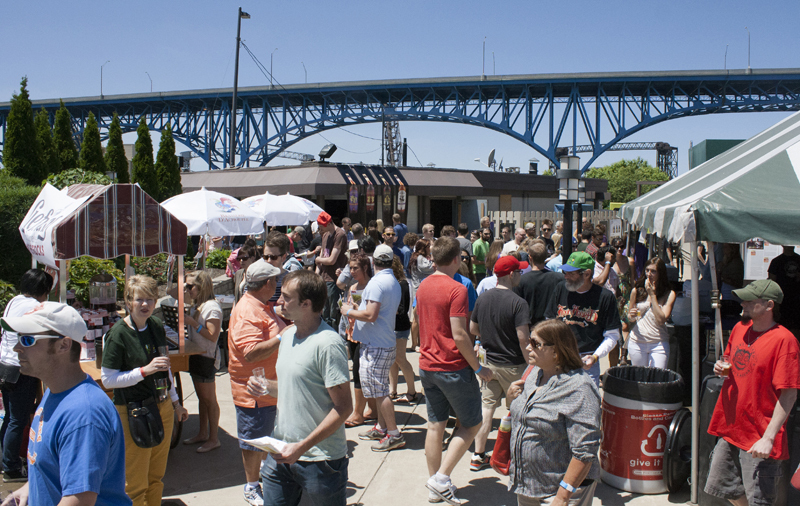 Held in a new location overlooking the Cuyahoga River, the Ohio Beer Garden represented a large portion of the festival, with large and small breweries from around the state pouring Buckeye favorites. Great Lakes Brewing Co. stepped it up with an educational salon where participants had the opportunity to touch, smell and taste some of the hop varieties and malts Great Lakes uses in its ales and lagers. A Taste of Belgium, an area dedicated to celebrating the art, culture and beer native to Belgium debuted for the first time at a World Beer Festival. Sponsored by Duvel Moortgat USA, attendees sampled beer from Duvel and Brewery Ommegang, while watching local artists paint pictures of the scenery surrounding the festival. All About Beer Magazine will bring the festival back to Cleveland in June 2015.
been to both events in Cleveland. So glad your coming back again. Its a great time. Meet people from all over the country.